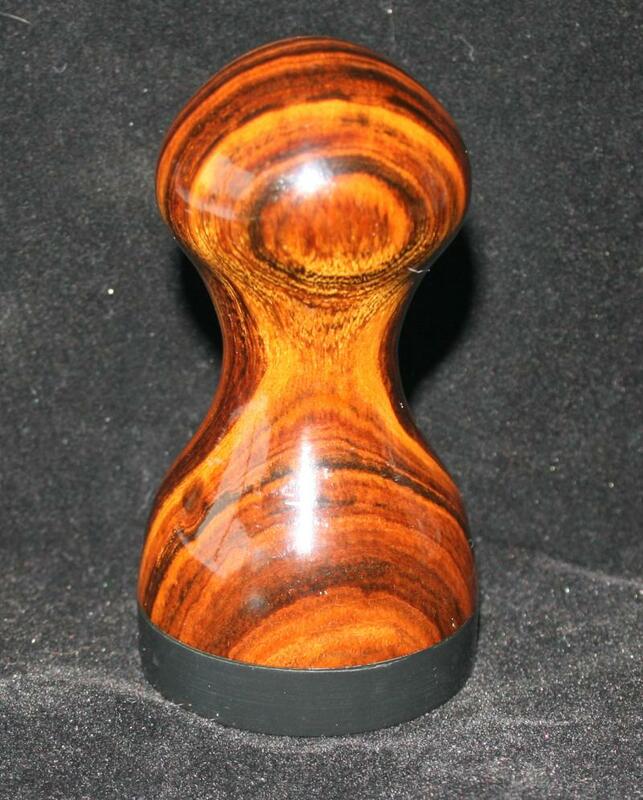 58mm Bubinga Tamper This is one of my favorite woods. It is a rich red-brown color. It is often called African Mahogany. This is a nice heavy wood from the Rosewood family of woods. When I was doing construction in Africa, I actually cut and milled this wood in the construction project I was on. It makes an awesome tamper. $70.00 Includes shipping and handling. 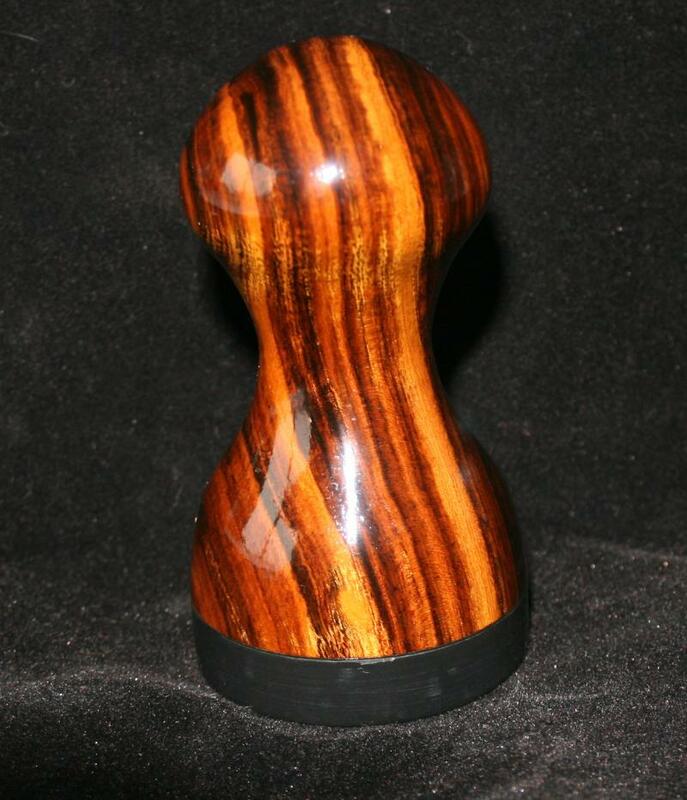 SIDE VIEW OF HIGHLY FIGURED DESERT IRONWOOD TAMPER. 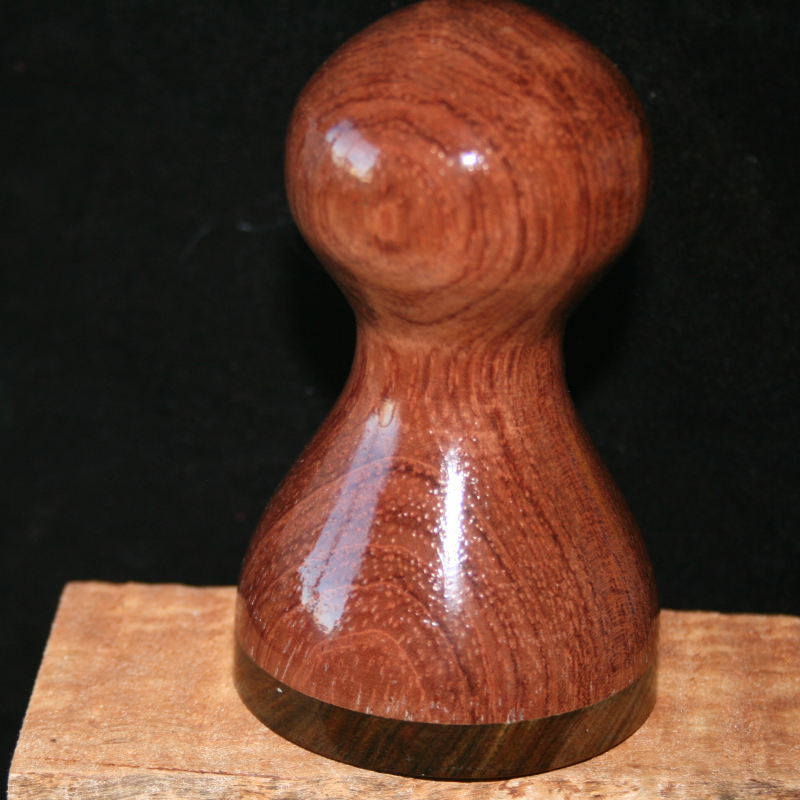 FRONT VIEW OF THE HIGHLY FIGURED DESERT IRONWOOD TAMPER.